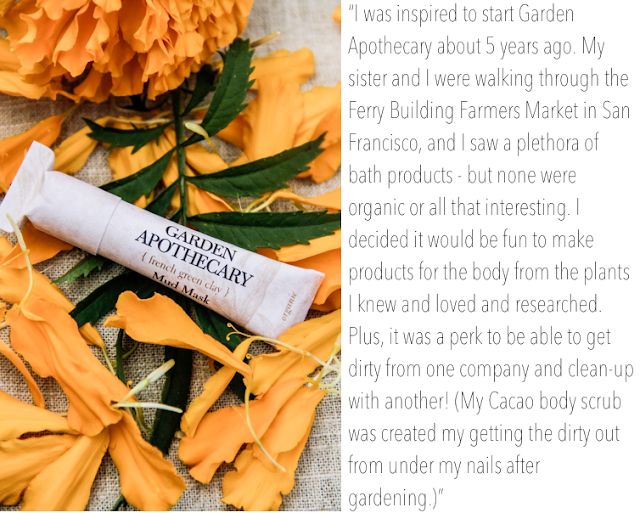 To kick off the series, I'd love to introduce you Garden Apothecary, founded by Half Moon Bay's Jennifer Lee Segale. I was first introduced to Jenn's line about a year or so ago and had the pleasure of trying out a few of her products. After that, we remained internet friends (Twitter and Instagram, FTW!) and I quickly got to know her hilarious personality. So when the holiday season rolled around, it was only fitting that I share such a gem with you all - because you guys love funnies, beauty products, and cool people, just as much as I do, so share the love, I must. 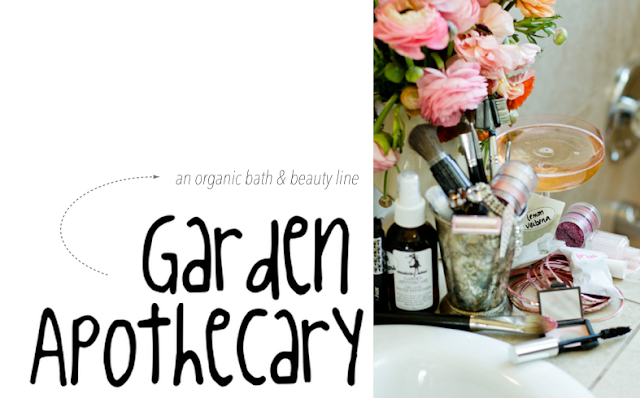 Scroll through today's post to get to know a little more about Jenn and her bath & beauty line, Garden Apothecary. Jenn's top three words to describe her line? Wholesome. Intimate. Botanical. 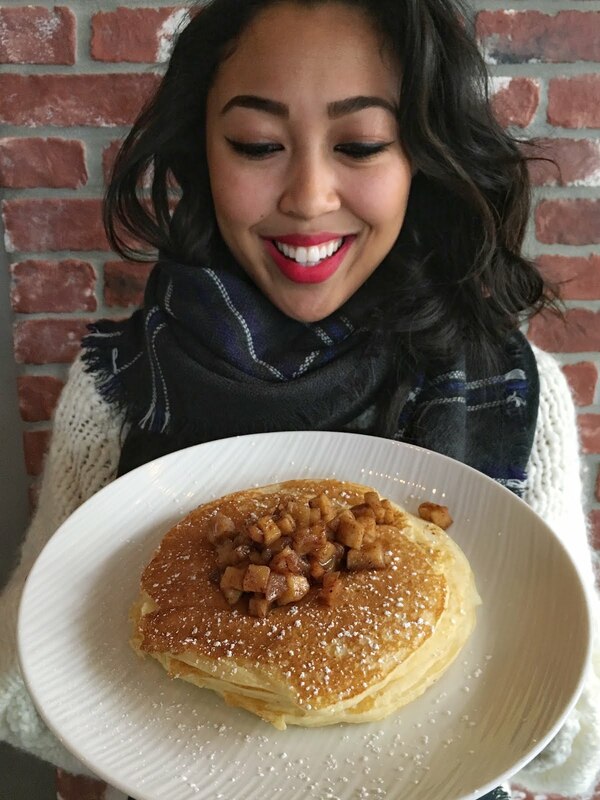 Of course, I also had to ask Jenn the ultimate pancakeSTACKER question - favorite pancake "flavor"? "Plain. (So I can taste the butter and honey!)" "The Cacao + Cardamom Massage Oil is incredible - like no other body oil, lotion or massage oil you have ever tried. I call it the 'baby-making scent.' 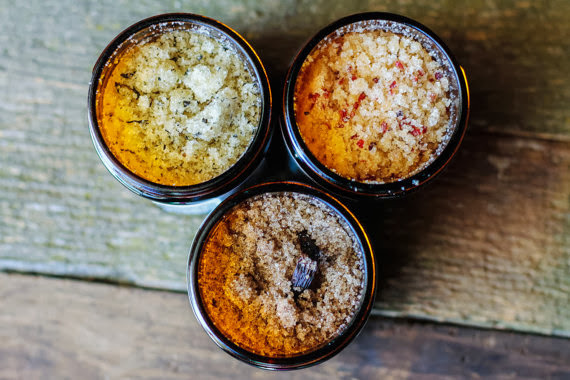 The Mud Masks are a must have for me each week and I soak with the Balsam + Lavender + Lotus Bath Tea 2-3 times a week, too. 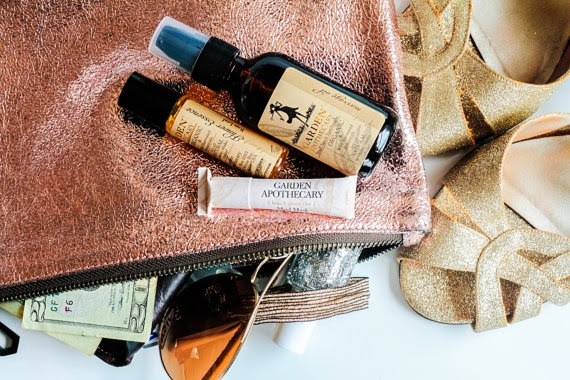 These three products make for a great bundled gift, since it’s something for your face, to soak in and to scent and hydrate the body with." 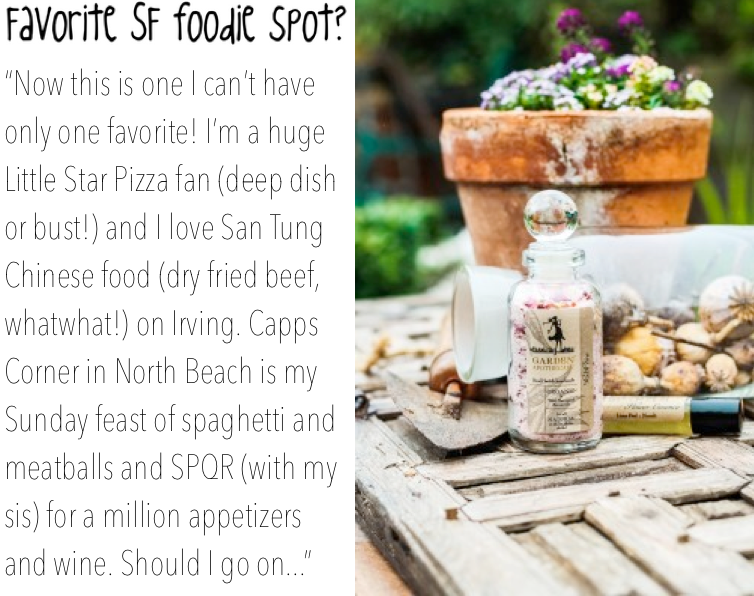 Okay, so at this point, you all obviously want to try Jenn's products right?? 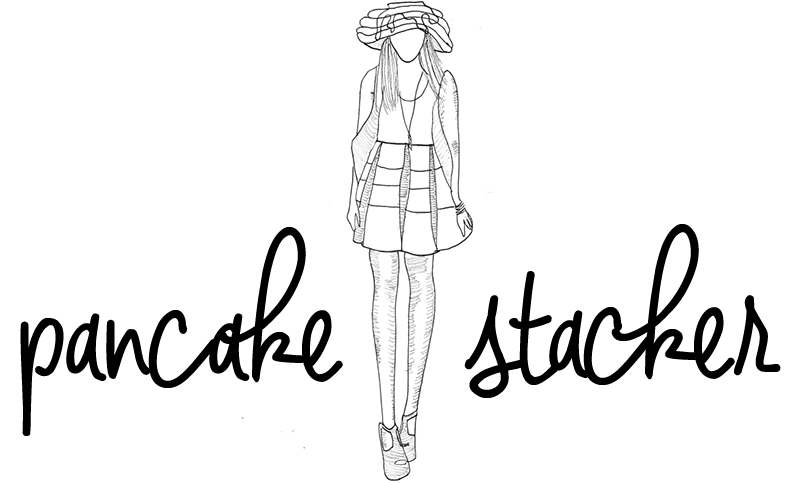 Lucky for you, Jenn's offering 10% off orders, when you enter the code 10Pancakes at checkout! 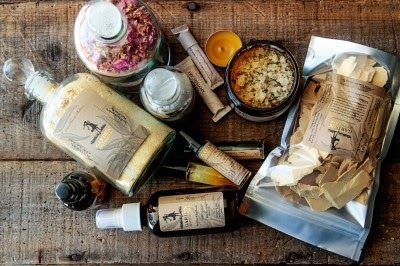 So hurry up and treat the bath and beauty junkie on your holiday list to some amazing stocking stuffers! 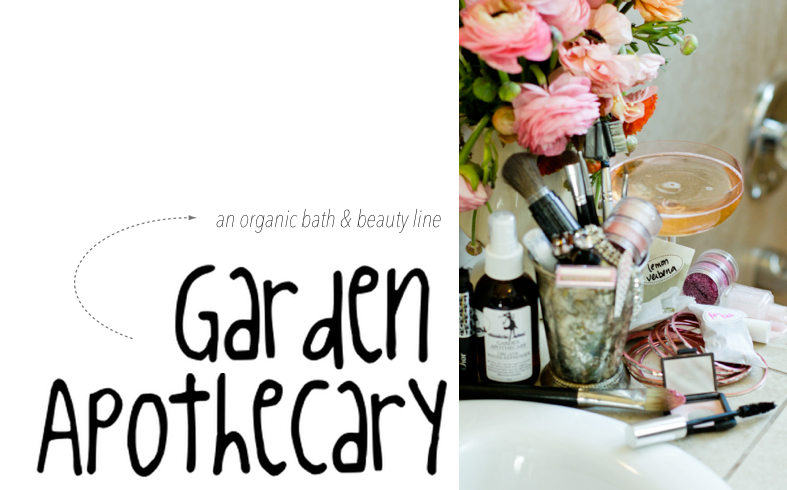 Special thanks to Jenn for taking the time to share more about herself and her line, Garden Apothecary. Full disclosure: I don't make any moo-lah when you click any of the links above, nor did I get paid to write this post. This series is meant to share some of my local San Francisco loves, in hopes that you'll find something you like for the holidays and beyond. So get to shopping and support these small biz superstars, please and thank you! 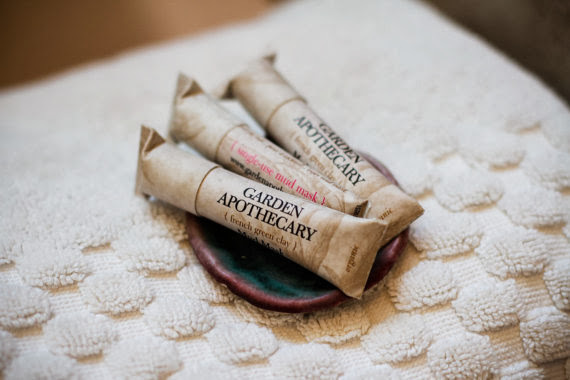 Great round-up, loving the sound of those mud masks!